How many faces can you see?? A very mixed bag for Wordless Wednesday this week. Linking up with My Little Drummer Boys. I love a bit of cyber-taunting. Still confident that QLD will triumph - even if they cross-dress. 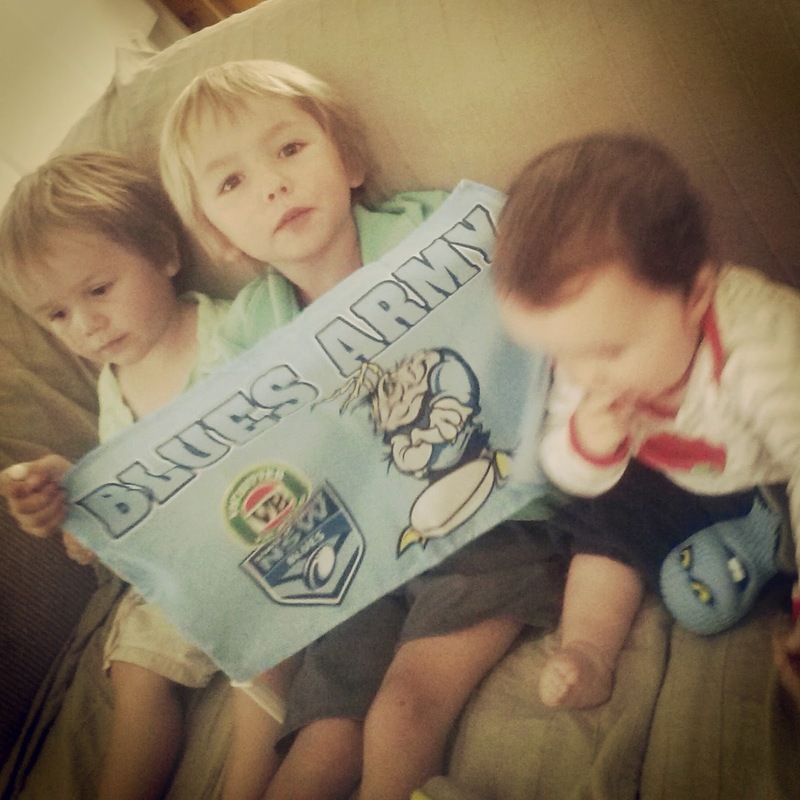 Go the Blues!!! I love those top two pics too! Those first two pics are fantastic! 9 faces so far!! And love those S.O.A images! It's on in the background as we 'speak'! Love the mixed bag. It took me ages to work out the second pic. 10 faces! Have to laugh at the queens, even though State of origin doesn't mean much to me! I have to admit I'm not really into Rugby League these days so only found out Tuesday that the match was on and then who won via Twitter later in the evening. I must confess- not quite a foodie! !